These are older pictures, I might of had these up before. 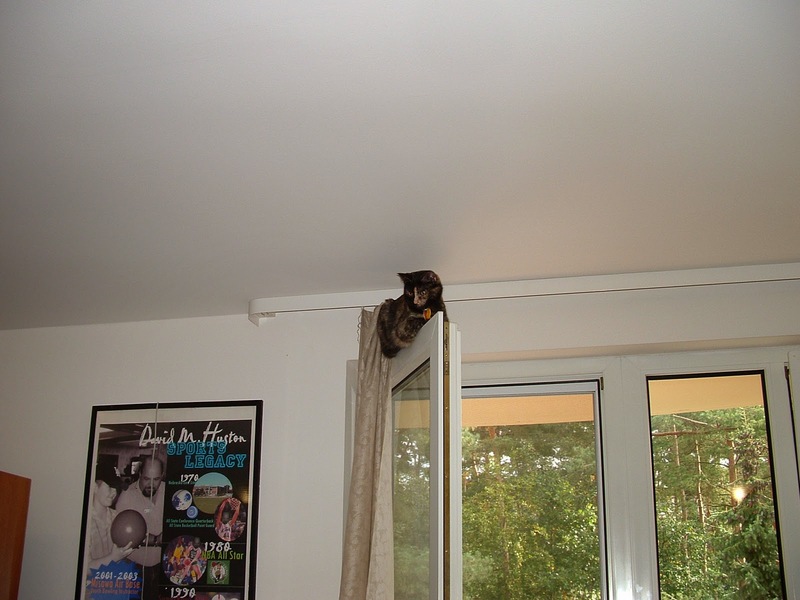 It still amazes me how she got up there. 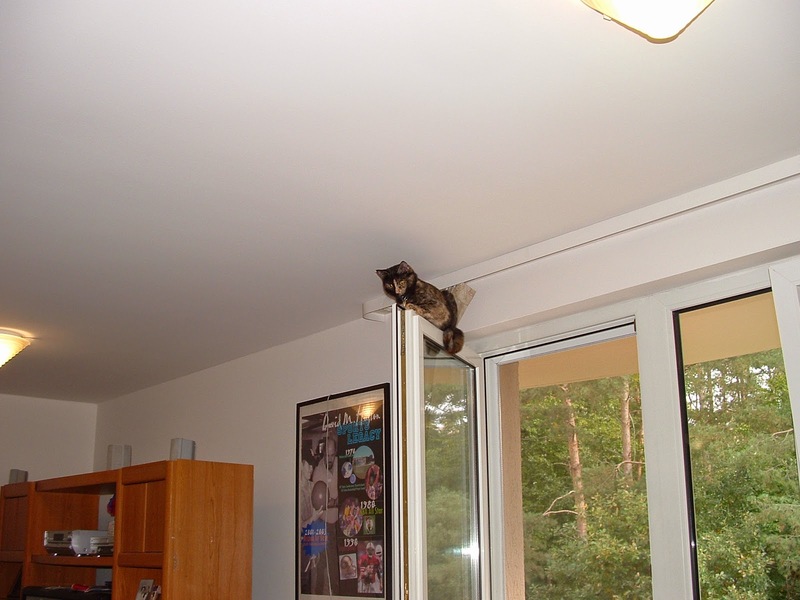 We had a cat who used to jump on our bedroom door from our dresser. She's pretty. 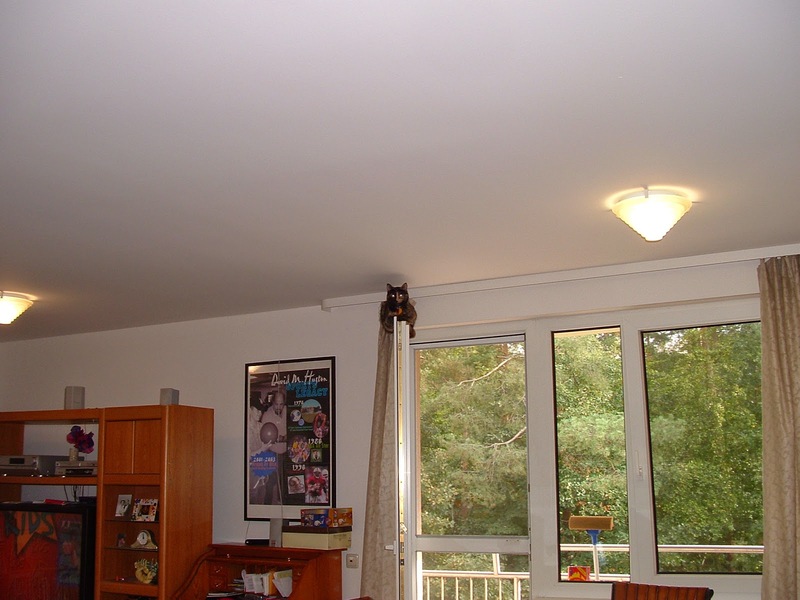 Isnt it amazing how those cats get in the craziest places!! Great photos!!! I didn't see him at first in the initial shot. He obviously likes getting high! That is the classic birds-eye view. Yeah, that's pretty amazing. Did you have to help her down after? Cats are gonna cat! So funny! How is she so casually balancing there? Silly cat! Did you help her down? How did she get up there? 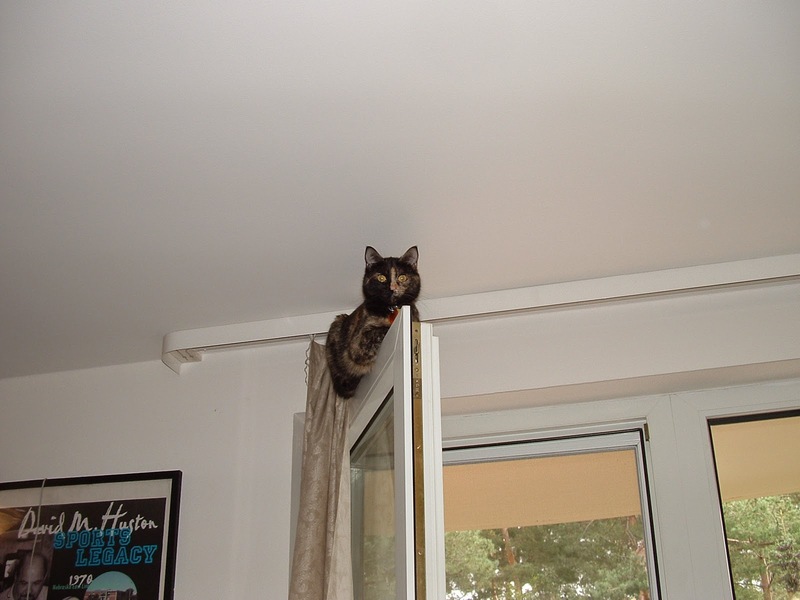 Climb the curtains? She's a gorgeous cat! Love her coloring. That is an awesome perch to sit and watch over everything! She's adorable looking and obviously a pretty good jumper.